Lettuce is not just for salads, it's a versatile green that you can use in hundreds of different ways. So many people in America toss their lettuce when it starts to wilt, thinking that it's too far gone to make a nice, crisp salad. But you can cook with lettuce like you would any other green, and the French and Chinese have been doing it forever. My go-to is a hearty lettuce and bean stew, but you can also sauté it, braise it, grill it, or bake fish or meat in it. The possibilities are endless. You can sauté or stir-fry lettuce just like any other green. 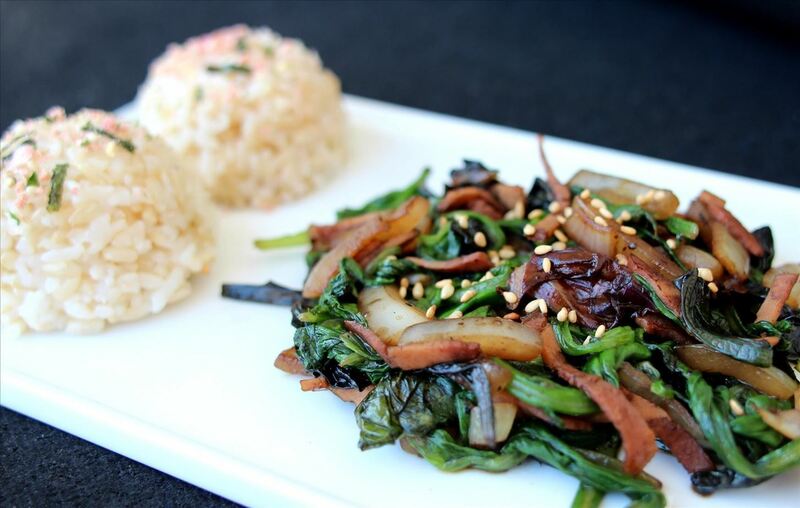 To make a quick and beautiful vegetable side dish, sauté some sweet onions and thinly sliced smoked bacon. Then add some chopped lettuce and sauté everything together for a couple minutes. Add some pepper to taste. Use wilted mesclun greens in this vegetable saute. 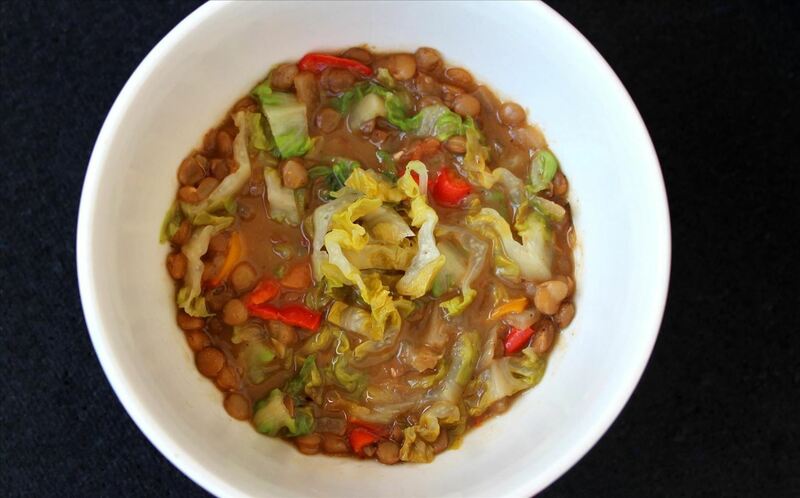 To lighten and freshen up hearty bean and lentil soups or stews, add some shredded lettuce towards the end of the cooking time. 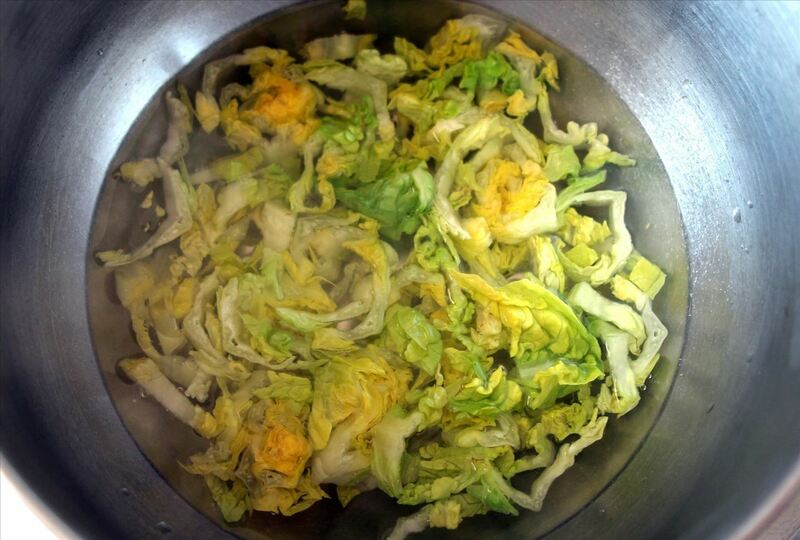 You can also blanch shredded lettuce and use it as a crisp-tender topping for soups and other dishes. For a taste of the softer side of lettuce, you can also braise it with other greens and some garlic. 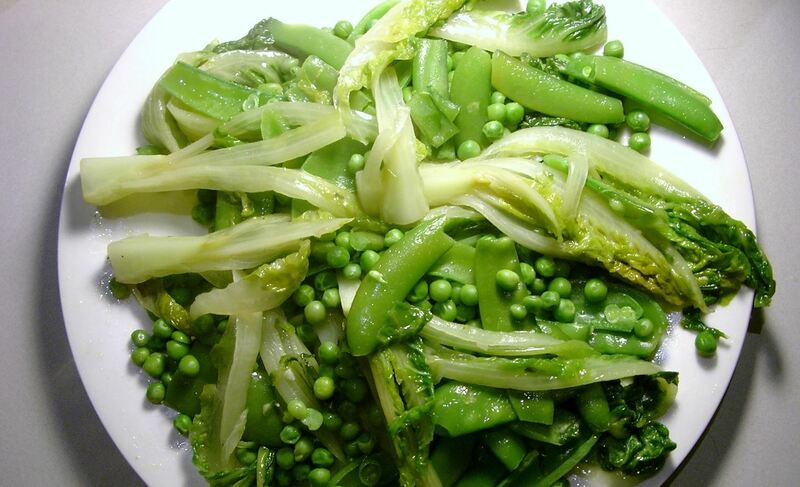 Follow this easy tutorial for making braised lettuce with peas, sugar snap peas, butter, and stock. Traditional pesto is made with basil, pine nuts, olive oil, and cheese, but you can make modern pestos out of different kinds greens, nuts, and seeds. 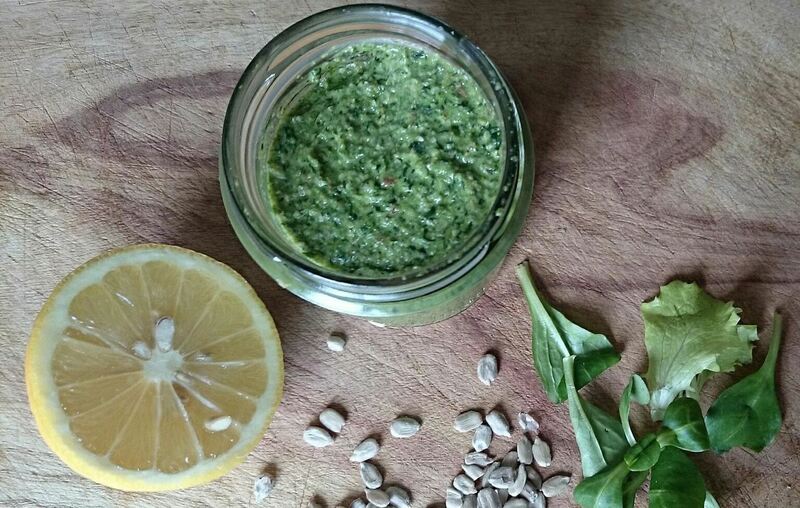 This bright pesto by Eat Good Stay Fit is a lively version made out of lettuce, sunflower seeds, and citron. If you throw lettuce on the grill, it gives it a nice, smoky flavor that goes with anything and everything from soup to nuts. 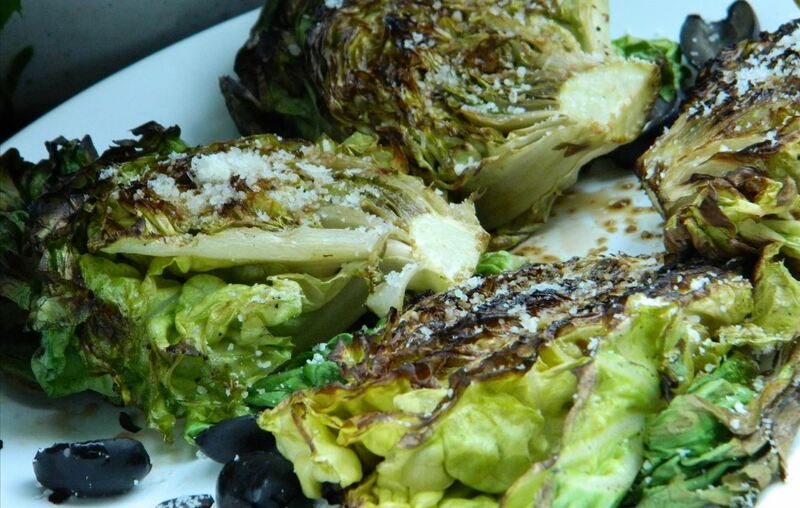 To try your hand at grilling lettuce, try this easy recipe using Bibb lettuce, olive oil, balsamic vinegar, olives, and Parmesan cheese. You can also use lettuce leaves as a wrap for fish or meat. 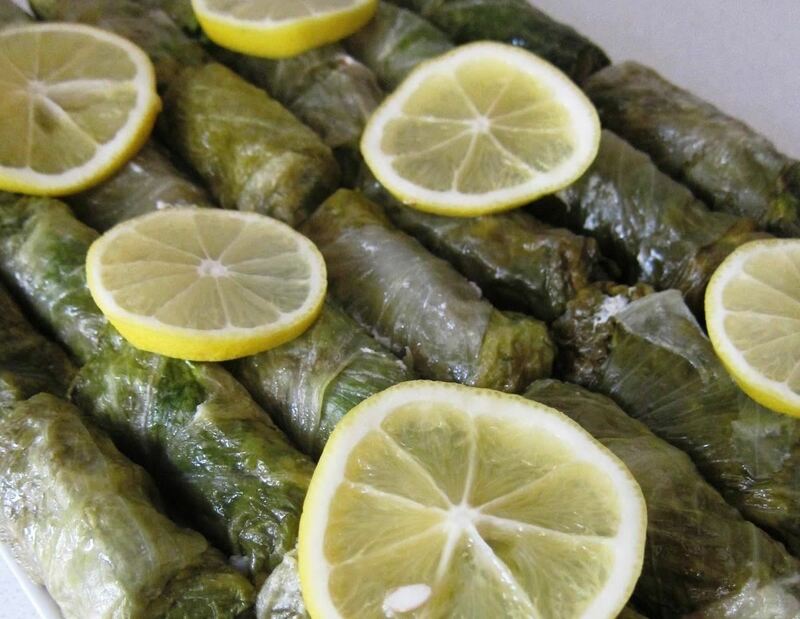 This savory, herb-y recipe by A Seasonal Cook features an amazing filling of sea bass, lemon, and rice wrapped in large lettuce leaves. Check out our other guide for more amazing ways to use lettuce, including smoothies and slaw. And if you want to learn how to make lettuce last longer using just your breath, see here.